Rulemaking | "Rulemaking" is a blog about government regulatory processes in the United States — specifically, those parts of the process that give the public an opportunity to participate. Back in June, we notified readers of an upcoming federal case regarding rulemaking. The Legal Information Institute reports that the Supreme Court will hold oral arguments on December 1, 2014, in Perez v. Mortgage Bankers Assn. (13-1041); Nickols v. Mortgage Bankers Assn. The issue in this case is whether a federal agency is required to engage in notice-and-comment rulemaking before it can alter an interpretive rule that articulates an interpretation of the agency’s regulation. More information is available at http://www.law.cornell.edu/supct/cert/13-1052 . The following article was posted today by Leland Beck, who will be speaking on a panel at the ACR meeting in Baltimore. The Administrative Codes and Registers’ Awards Committee is taking nominations for the 2014 Colborn Award. This year, the committee consists of Ken Hansen (UT; chair), Kerry Radcliff (WA) and Liz Cloud (FL). The Colborn Award is presented annually by Administrative Codes and Registers (ACR), a section of the National Association of Secretaries of State, to recognize a program that demonstrates innovation and creativity in providing public access to, or management of, administrative rules. The nominations packet and form with complete instructions has been posted on the Colborn Award page available at: http://www.administrativerules.org/colborn-award/nomination-package/ . Nominations are due Friday, June 6, 2014. The award will be presented at the ACR Summer Conference held in Baltimore, MD, July 13-16, 2014. Robert J. Colborn, former administrator of the Maryland Division of State Documents, the founder of Administrative Codes and Registers, a generous and kind spirit, and a dear friend passed away on January 23, 2014. Bob’s obituary is available at http://www.legacy.com/obituaries/capitalgazette/obituary.aspx?n=robert-colborn&pid=169365211. ACR has prepared a memorial page at http://www.administrativerules.org/colborn/. 2014 ACR Winter Meeting in Washington D.C. Administrative Codes and Registers (ACR) will be holding its annual winter meeting in conjunction with the National Association of Secretaries of State (NASS), February 12-15, 2014 at the JW Marriott Hotel. More information about the conference is available on the ACR website at http://www.administrativerules.org/2014-winter-meeting/. Comments Off on 2014 ACR Winter Meeting in Washington D.C. Administrative Codes and Registers (ACR) will hold its 35th annual summer conference in Anchorage, Alaska, July 18 through July 21, 2013. Information about conference, including an agenda, is available on the ACR web site at http://www.administrativerules.org/?p=305. Members of Administrative Codes and Registers (ACR), a section of the National Association of Secretaries of State (NASS), elected officers in July at the NASS/ACR summer conference held in San Juan, PR. The new officers are: Scott Cancelosi (AZ), president; Kerry Radcliff (WA), vice president; and Emily Caudill (KY), secretary/treasurer. The officers will serve a two-year term which expires in July 2014. More information about ACR’s new officers can be found at http://www.nass.org/index.php?option=com_content&view=article&id=335%3Anews-release-acc-new-officers-2012&catid=964%3Auncategorized-news-releases&Itemid=428 . Carolan Underwood passed away on August 28, 2012. Carolan served the ACR Executive Secretary (the office now known as ‘president’) from 1987 through 1990. Carolan worked for the Missouri Secretary of State’s Office as the Director of Administrative Rules for many years. The old-time ACR members will remember Carolan for her warm acceptance of everyone who joined the ACR ranks. Carolan spent countless hours working on our behalf to organize conferences, and present sessions. An obituary for Carolan is available online at http://rollfuneralhome.com/obituaries/carolan-exon-underwood . On July 6, 2012, the OFR Blog announced that Charles A. Barth has been named the new Director of the Federal Register. Mr. Barth replaces Ray Mosley who retired this past winter. See the OFR Blog for more information. Administrative Codes and Registers (ACR) will hold its annual summer conference in conjunction with the National Association of Secretaries of State’s summer conference in San Juan, PR, July 14 through July 17, 2012. A tentative agenda for the conference is available online. Members of ACR will be able to participate in a web broadcast of the conference. Information about registration has been distributed to ACR members through the ACR ListServ. Administrative Codes and Registers will hold a virtual winter meeting Wednesday, February 22 through Friday, February 24. Sessions will begin at 11 AM EST each day. The agenda for the meeting is available online at http://www.nmcpr.state.nm.us/acr/2012ACRWinterMeetingAgenda.pdf. Instructions for participating in the meeting have been distributed through the ACR ListServ. Due to low attendance numbers projected for the ACR Winter Meeting, it has been decided that we will not meet in DC but will hold a three-day conference online, similar to what we did last year. We are looking at holding the meeting during January and are still finalizing the exact dates. Additional information will be posted on https://rulemaking.wordpress.com/ as it becomes available. In an e-mail distributed October 10, 2011, the Uniform Law Commission (ULC) announced the availability of the final version of the Uniform Electronic Legal Materials Act (UELMA). The final version of UELMA is available online at the Penn Law website at: http://www.law.upenn.edu/bll/archives/ulc/apselm/UELMA_Final_2011.htm. It has not yet been posted on the ULC website. Following ULC’s approval of UELMA at its summer meeting, it was sent to the style committee for final review. That process has now been completed. The Uniform Electronic Legal Material Act establishes an outcomes-based, technology-neutral framework for providing online legal material with the same level of trustworthiness traditionally provided by publication in a law book. The Act requires that official electronic legal material be: (1) authenticated, by providing a method to determine that it is unaltered; (2) preserved, either in electronic or print form; and (3) accessible, for use by the public on a permanent basis. Questions about the Uniform Electronic Legal Materials Act should be directed to the Uniform Law Commission. At the October 3rd Code Commission meeting, Waldo Jaquith introduced members to his beta website “Virginia DeCoded: The State Code for Humans.” His goal is to make state codes user friendly and easy for the public to find information. In June, Waldo received a $165,000 grant from the Knight Foundation to expand his code project nationwide. See articles on the Virginia Lawyers Weekly and Virginia Public Radio websites for more information. The Administrative Codes and Registers (ACR) Section of the National Association of Secretaries of State (NASS), which recently held its annual meeting in Glade Springs Resort, WV, awarded Florida’s Department of State, Division of Library and Information Services with the 2011 Robert J. Colburn, Jr. Innovation Award. The Division of Library and Information Services was selected for implementing a program to hyperlink materials incorporated by rules in the online version of the Florida Administrative Code. The online version of the Florida Administrative Code contains highlighted text whenever incorporated materials are referenced. Benefits of this new program include greater access of incorporated materials. With a simple click of the mouse, citizens can obtain immediate access to the complete text of the incorporated material. For state registrars and publishers, electronic and dated materials replace the voluminous materials that required organizing, archiving and disposing. And more importantly, the rule is hyperlinked to the true legal version of the incorporated materials, eliminating confusion with multiple versions of the same material. Administrative Codes and Registers (ACR), a section of the National Association of Secretaries of State (NASS), created the Robert J. Colborn, Jr. Innovation Award in July 2001 in honor of Robert J. Colborn, Jr., who served as the administrator of the Maryland Division of State Documents from 1974 through 2001 and founded ACR. The Robert J. Colborn, Jr. Innovation Award annually recognizes a program that demonstrates creativity and innovation in providing public access to or managing administrative rules. It honors the state agency that has made substantial contributions to the flow of information to the public by improving efficiency and delivery of services to citizens, businesses and other governmental entities. Virginia’s Attorney General recently issued an opinion that universities can prohibit the open carry of firearms inside university buildings by policy; however, must promulgate a regulation to apply such prohibition to concealed handgun permit holders. Under the present state of the law, the University of Virginia lawfully may promulgate a policy that prohibits persons from openly carrying a firearm in the buildings that are subject to the policy. Further, with respect to persons who have a concealed carry permit, because the University adopted a policy rather than a regulation, it has not “otherwise prohibited by law” persons with a concealed carry permit from possessing a handgun, and, therefore, the policies may not be used to prohibit persons with such a permit from carrying a concealed firearm into the buildings covered by the policy. A new act approved [July 12, 2011] by a national law group establishes an outcomes-based, technology-neutral framework for providing online legal material with the same level of trustworthiness traditionally provided by publication in a law book. The Uniform Electronic Legal Material Act was approved today by the Uniform Law Commission (ULC) at its 120th Annual Meeting in Vail, Colorado. Increasingly, state governments are publishing laws, statutes, agency rules, and court rules and decisions online. In some states, important state-level legal material is no longer published in books, but is only available online. While electronic publication of legal material has facilitated public access to the material, it has also raised concerns. Is the legal material official, authentic, government data that has not been altered? For the long term, how will this electronic legal material be preserved? How will the public access the material 10, 50, or 100 years from now? The Uniform Electronic Legal Material Act provides a consistent approach to solving these problems. The drafting committee’s web page is available at http://www.uniformlaws.org/Committee.aspx?title=Electronic%20Legal%20Material%20Act . As of 7/18/2011, the approved uniform act has not been posted. UPDATE: 7/19/2011 — The approved, pre-style final text is available online at http://www.uniformlaws.org/Shared/Docs/AM2011_Prestyle%20Finals/UELMA_PreStyleFinal_Jul11.pdf . The ACR Summer Conference will be held at the Resort at Glade Springs in Daniels, WV from July 10 through July 13, 2011. A copy of the tentative agenda is available. The Administrative Codes and Registers’ Awards Committee is taking nominations for the 2011 Colborn Award. This year, the committee consists of Molly Masich (NC; chair), Elizabeth Palen (VA) and John Martinez (NM). The Colborn Award is presented annually by ACR to recognize a program that demonstrates innovation and creativity in providing public access to, or management of, administrative rules. The nominations packet and form with complete instructions has been posted on the Colborn Award page available at: http://www.administrativerules.org/index.php?option=com_content&view=article&id=93&Itemid=56 . The deadline for submitting nominations is Friday, June 10, 2011. Registration is now open for the NASS 2011 Summer Conference from July 10-13, 2011 in Daniels, West Virginia at the Resort at Glade Springs. Click here for conference information and to register online! To make room reservations call 877-540-3650 (Mon.- Sat.) and mention NASS. The NASS room rate is $159 per night. Deadline for the NASS early conference rate for registration and hotel reservations is Thursday, June 2, 2011. Visit the registration website for summer conference details, including agenda, hotel information, family/spouse activities, exhibitor info and more! Check the website often for agenda updates. When making transportation plans, we encourage you to either drive or fly to Yeager Airport (CRW) in Charleston, WV. Yeager is serviced by most major airlines and has a non-stop service from Atlanta, Chicago, Houston, Detroit, Washington DC, New York and several other cities. We will be offering limited shuttle service from Yeager Airport to Glade Springs and are negotiating a discounted car rental rate. A bill pending in Texas requires agencies to wait before adopting rules until the appropriate standing committee of each house reviews the rules. Under present law the legislature is limited to sending agencies a statement supporting or opposing adoption of a rule. The new legislative review authority, if adopted by the legislature, is contingent upon voters approving a constitutional amendment to provide for legislative review of rules. The Uniform Law Commission (a.k.a. National Conference of Commissioner on Uniform State Laws) has a new web site — http://www.uniformlaws.org/. I understand that the purpose of government regulation is to maintain a level playing field. As a small business owner, I have also experienced the cost and frustration of over-reaching and irrational regulation. In order to separate regulations that serve an important purpose, from those regulations that serve no purpose at all, I have asked each member of my Cabinet to review existing business regulations and determine which could be kept, which should be modified, and which will be eliminated. Governor Herbert’s state of the state address is available at http://www.utah.gov/governor/news_media/article.html?article=4169. As more information becomes available about the implementation of this Cabinet-level review of regulation, it will be posted here. SB 1339 (Administrative rules; repeal; legislative action) – SB 1339 Failed in the Senate third read March 14, 2011, with a 11-17-2 vote. On January 18, we reported that President Obama had issued an executive order “Improving Regulation and Regulatory Review”. Executive order 13563 was published in the January 21, 2011, edition of the Federal Register (76 FR 3821-3823). It does not appear that the office of Governor Kasich issued a press release related to the order. The full text of the executive order is available online at http://business.ohio.gov/docs/ExecutiveOrder2011-01K.pdf. On January 10, 2011, Maine Governor Paul LePage issued Executive Order 09 FY 11/12, entitled “An Order to Improve Review of Rulemaking Process.” The order establishes gubernatorial review of certain rules. The full text of the executive order is available online at http://www.maine.gov/tools/whatsnew/index.php?topic=Gov_Executive_Orders&id=182022&v=article2011. On January 3, 2011, Governor Brian Sandoval signed Executive Order 2011-01, entitled “Establishing a Freeze on Proposed Regulations.” A press release related to the order clarified the governor’s position. The first executive order, focusing on economic development, establishes a freeze on all proposed administrative regulations until January 1, 2012, with certain exceptions for regulations that affect public health, public safety and security, and regulations that are necessary in the pursuit of federal funds and certifications. The freeze applies only to those agencies, boards and commissions which fall within the governor’s purview. Sandoval said the freeze will help stabilize Nevada’s business climate and make it easier for firms to expand and create jobs. The full text of the executive order is available at http://ndep.nv.gov/docs_10/exec-order-2011-01.pdf. On January 21, 2011, Kansas Governor Sam Brownback signed Executive Order 11-01 to establish the Office of the Repealer in the Kansas Department of Administration. “My number one priority is to get our state’s economy growing again. With the help of Kansans, the Office of the Repealer will work to identify laws and regulations that are out of date, unreasonable, and burdensome. Laws and regulations shouldn’t hinder opportunities for Kansans and Kansas businesses,” Gov. Brownback said. – Investigate the system of governance of the State of Kansas including its laws and regulations to determine instances in which those laws and regulations are unreasonable, unduly burdensome, duplicative, or contradictory. – Establish a system for receiving public recommendations suggesting various laws and regulations to be considered for possible repeal. This system will include an online portal for receipt of public comments. – Make recommendations for either outright repeal or for modification to be delivered to the originating body of such law or regulation. The recommendation will provide specific details with justification for the requested repeal or modification. – Implement a tracking system to follow the action taken by the originating body on any recommendation made by the Office of the Repealer in order to prepare regular reports to the Governor regarding the progress of repeal or modification. Brownback said the Office of the Repealer will also have the authority to determine and implement such internal policies, standards, and procedures as may be necessary for the orderly and efficient carrying out of its mission. The order becomes effective upon its filling with the Secretary of State’s office. The full text of the executive order is available online at https://governor.ks.gov/frontpagenews/2011/01/21/1-21-11-executive-order-11-01. Executive Order No. 11-01 freezes all new regulations and establishes the Office of Fiscal Accountability and Regulatory Reform, which will review all rules prior to promulgation as well as agency practices and contracts. Immediately suspends rulemaking for all agencies under the direction of the Governor. Establishes the Office of Fiscal Accountability and Regulatory Reform to review all rules (including those suspended by the Order) prior to promulgation and to review agency practices and contracts. Imposes 90-day suspension on execution of any contracts with a value in excess of $1 million, without prior approval from the Office. Prohibits agencies from promulgating rules unless they obtain prior approval from the Office. The full text of the executive order is available at http://www.flgov.com/wp-content/uploads/2011/01/scott.eo_.one_.pdf. This order suspends proposed and pending rules and regulations for a period of 90 days with some rules excepted. It also creates a task force comprised of cabinet secretaries from Taxation and Revenue, Workforce Solutions, and General Services. The task force is to make specific legislative and regulatory recommendations to achieve economic growth and stability within 90 days from the effective date of the order. Today, Governor Susana Martinez signed her first executive order, which establishes a small business task force to identify red-tape regulations that are harmful to business growth and job creation in New Mexico and report its findings to the Governor. The task force, chaired by Secretary-designate of Economic Development, Jon Barela, will conduct its review over a 90-day period, during which all proposed and pending regulations will be frozen. The full text of the Executive Order is available online at http://www.governor.state.nm.us/uploads/FileLinks/1e77a5621a1544e28318ba93fcd47d49/EO-2011-001.pdf. The president outlined why he signed the executive order in an op-ed piece in the Wall Street Journal Tuesday. This order requires that federal agencies ensure that regulations protect our safety, health and environment while promoting economic growth. And it orders a government-wide review of the rules already on the books to remove outdated regulations that stifle job creation and make our economy less competitive. It’s a review that will help bring order to regulations that have become a patchwork of overlapping rules, the result of tinkering by administrations and legislators of both parties and the influence of special interests in Washington over decades. In the second story, “Obama Reaches Out To Businesses With Rules Review“, Ari Shapiro provides more context and reaction. The text of the executive order has not yet been published in the Federal Register. The text is available in a press release on the White House web site. The President’s op-ed piece in the Wall Street Journal is available online. This article [http://gov20.govfresh.com/white-house-regulations-shall-be-adopted-through-a-process-that-involves-public-participation/] lays out the goals of the President’s Executive Order on regulatory review (E.O. 13563) and relates it to his op-ed in the Wall Street Journal on building a 21st century regulatory system. The article stresses that enhanced public participation is one of the key deliverables of the reg review process. The Administrative Codes and Registers Section will hold an on-line meeting in February instead of traveling to Washington, D.C. for the 2011 Winter Meeting. Because of the extreme economic circumstances facing most of the states, only a small number of ACR members could attend the planned face-to-face meeting. To remedy the small attendance numbers, ACR has arranged to use a “virtual classroom” for the on-line meeting, which will be held on February 10 and 11, 2011. The registration form for the meeting is now available on the ACR website. More information about the meeting and the “virtual classroom” will be available on the 2011 Winter Meeting page during January. (4) encourage all Federal entities that participate in the e-rulemaking process to work towards an accessible and interoperable docket management system. The bill text is available from Thomas. Nearly twenty percent of the American economy is regulated by state governments. But there are major concerns about how regulatory decisions are made. Although states routinely regulate industries whose economic footprints climb into the hundreds of millions of dollars, these rules are often made ad hoc, risking inefficient results that limit public benefit. The full report is available from the Institute for Policy Integrity at http://policyintegrity.org/publications/detail/52-experiments-with-regulatory-review/. Gallagher Blogs reports that “Governor Chris Gregoire issued an executive order (Exec. Order 10-06) suspending and limiting the state rulemaking process through the end of 2011.” The Washington Governor’s Office has posted the executive order online at http://www.governor.wa.gov/news/Executive_Order_10-06.pdf. The National Conference of Commissioner on Uniform State Laws (NCCUSL) has posted the final version of the 2010 Model State Administrative Procedure Act (MSAPA) on the web at http://www.law.upenn.edu/bll/archives/ulc/msapa/2010_final.htm. NCCUSL adopted the revised MSAPA, subject to style changes, at its 2010 summer meeting. The final version was posted on October 18, 2010. Administrative Codes and Registers (ACR) gratefully acknowledges the efforts of the NCCUSL MSAPA drafting committee. Under the leadership of Francis J. Pavetti, the committee welcomed members of ACR as observers. The committee permitted ACR observers to actively participate in the discussions and graciously accepted feedback. ACR is especially grateful to John Gedid and Greg Ogden who made special efforts to keep ACR informed by attending ACR conferences and directly soliciting feedback from ACR members. 4/19/2011 Update: Back in February, NCCUSL changed its web site. The MSAPA is now found at http://www.uniformlaws.org/Act.aspx?title=State%20Administrative%20Procedure%20Act,%20Revised%20Model. updating storage formats to assure longevity of the legal materials. ACR leadership has asked Jeff Hague (DE) to attend and observe the next drafting committee meeting, which is scheduled for November 19 and 20, 2010, in Washington, D.C. More information about the drafting committee, including links to the latest draft, is available online at http://www.nccusl.org/Update/CommitteeSearchResults.aspx?committee=344. 4/19/2011 Update: Back in February, NCCUSL changed its web site. The new address for the Electronic Legal Materials Act Committee is http://www.uniformlaws.org/Committee.aspx?title=Electronic%20Legal%20Materials%20Act . Members of Administrative Codes and Registers (ACR), a section of the National Association of Secretaries of State, selected new officers at the ACR summer conference in Providence, Rhode Island. John Martinez (NM) was elected president, Scott Cancelosi (AZ) was elected vice-president, and Kerry Radcliff (WA) was elected Secretary/Treasurer. At its annual meeting held July 9 through 16, 2010, in Chicago, Illinois, the National Conference Commissioners On Uniform State Laws (NCCUSL) approved and recommended a new Model State Administrative Procedure Act (MSAPA). The text of the 2010 MSAPA replaces the 1981 MSAPA. The new text has not yet been posted on the NCCUSL web site. The approved MSAPA is subject to revision by the Style Committee. The Style Committee meets in September. The 2010 Robert J. Colborn, Jr., Innovation Award was presented to the New Mexico State Records Center and Archives, Division of Administrative Law for its New Mexico On-line State Rules Training. More information is available at http://www.administrativerules.org/?page_id=126. Information about the Administrative Codes and Registers 2010 summer conference is available on the ACR web site. The tentative agenda includes presentations on emergency preparedness, an update on the MSAPA drafting effort, authentication of e-records, and social media’s role in government. The 2010 annual meeting draft of the Model State Administrative Procedure Act (MSAPA) has been posted on the MSAPA Drafting Committee’s web page (http://www.nccusl.org/Update/CommitteeSearchResults.aspx?committee=234). The posting includes an issues statement that covers Articles 4 (Adjudication in a contested case), 5 (Judicial review), and 6 (Office of administrative hearings) as well as the draft. The National Conference of Commissioners on Uniform State Laws (NCCUSL) holds its annual meeting on July 9 through 16, 2010, in Chicago, IL. The agenda shows that the MSAPA will be discussed on Saturday, July 10, from 1:30 to 5 PM. The officers of the Administrative Codes and Registers (ACR) Section have posted a tentative agenda for the Winter 2010 meeting. The meeting is scheduled for January 29 through February 1, 2010, in Washington, D.C. The agenda includes a discussion of DC rulemaking publications, a visit to the Government Printing Office, Virginia’s APA Study, and other sessions. More information is available on the ACR web site at http://www.administrativerules.org/. The Model State Administrative Procedure Act (MSAPA) drafting committee of the National Conference of Commissioners on Uniform State Laws (NCCUSL) met October 16-18, 2009, in Chicago. The committee was able to cover its agenda. which focused on Articles 4 (Adjudications), 5 (Judicial Review), and 6 (Administrative Law Judge Central Panel). Information relied upon for the October 2009 meeting, including a redlined draft, is available on the NCCUSL MSAPA Committee web site. The committee is scheduled to hold a conference call in January 2010. The agenda will include a review of comments made during the 2009 summer conference reading. The committee is also scheduled to meet in February 2010. At its 2009 summer conference held in Minneapolis, MN, Administrative Codes and Registers (ACR) recognized the Virginia Division of Legislative Services and the Virginia Code Commission with the 2009 Colborn Award. The award was presented in recognition for Virginia’s for creation of a current online Administrative Code that works in conjunction with the Virginia Regulatory Town Hall website. More information about Virginia’s project may be found at http://www.administrativerules.org/?page_id=129. The Administrative Codes and Registers (ACR) section will hold its annual summer conference in conjunction with the National Association of Secretaries of State (NASS) summer conference in Minneapolis, MN, July 16-19, 2009. Meetings will be held Friday, Saturday, and Sunday. This shorter schedule was approved by the NASS Executive Board to reduce travel-related expenses for attendees. Registration for the conference is available online at http://www.nass.org/ (or directly at http://nass.org/index.php?option=com_content&task=view&id=93&Itemid=299). The early registration deadline is June 15, 2009. See http://www.administrativerules.org/ for agenda updates. Uniform Law Commission (ULC) leadership has granted the Model State Administrative Procedure Act (MSAPA) drafting committee an extension. The MSAPA was to have been completed and up for final approval at this summer’s ULC conference in Santa Fe, New Mexico, July 9 – 16, 2009. This July  the Committee will read the rulemaking provisions – Articles 2, 3, 7 and the relevant definitions in Article 1 – and after them as many of the judicial review provisions of Articles 4, 4A, 5 and 6 (and the related definitions in Article 1) as time permits. Consideration in July 2010 will be focused almost exclusively on the judicial review provisions. MSAPA will have its final consideration, and a vote by the states, in July 2010. A copy of the current draft and related information is available online at http://www.nccusl.org/Update/CommitteeSearchResults.aspx?committee=234. The Uniform Law Commission (ULC) has scheduled the final Model State Administrative Procedure Act (MSAPA) drafting committee meeting for March 27-29, 2009, in Chicago, IL. The Committee is scheduled to discuss rulemaking and rules review issues at the meeting. John Martinez, New Mexico Administrative Law Division Director, will represent Administrative Codes and Registers at the meeting. Senator Howard Stephenson, co-chair of Utah’s legislative Administrative Rules Review Committee, is sponsoring a bill to enlarge the role of the committee in new ways. S.B. 64, entitled “Administrative Rules Review Committee,” expands the authority of the committee to include the review of “any appropriation made by the Legislature … to ensure that the entity to which the funds were appropriated complies with any expressed legislative intent concerning the appropriation.” Under the provisions of the bill, the Committee reports its findings of noncompliance to the Legislature’s Executive Appropriations Committee. The bill does not authorize any other direct action by the Administrative Rules Review Committee. Utah created its Administrative Rules Review Committee in 1983. The ten-member legislative committee currently has authority to review proposed and effective administrative rules and to prepare omnibus legislation to reauthorize administrative rules every year (see H.B. 197 for this year’s reauthorization bill). More information about Utah’s Administrative Rules Review Committee is available at http://www.rules.utah.gov/arrc.htm. UPDATE — 3/12/2009 — S.B. 64 encountered opposition in the House due to concerns that the additional authority to review appropriations (expenditures) would diminish the Administrative Rules Review Committee’s focus on administrative rules. 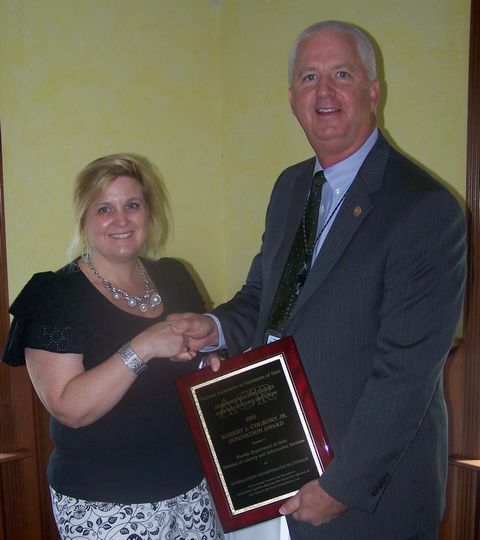 Rep. Ben Ferry, House Chair of the Administrative Rules Review Committee, sponsored H.J.R. 23, amending joint legislative rules, giving the authority to review appropriations directly to the Legislature’s Executive Appropriations Committee. The Virginia House of Delegates passed a constitutional amendment (first resolution) that provides that the General Assembly may suspend or nullify any or all portions of any administrative rule or regulation by joint resolution agreed to by a majority of the members elected to each house. View the progress of House Joint Resolution 731. Our office is watching House Bill 2240 currently in the Legislature which would limit new rulemaking in the State of Arizona. A. Notwithstanding any other law, an agency shall not conduct any rule making that would impose increased monetary or regulatory costs on other state agencies, political subdivisions of this state, persons or individuals. 1. To avoid a violation of a court order or federal law that would result in sanctions by the court or federal government to an agency in fiscal year 2008‑2009 or 2009‑2010 for failure to conduct the rule making action. 2. To prevent an imminent threat to the public health or safety. For the purposes of this paragraph, “imminent threat to the public health or safety” means the existence of a condition, circumstance or practice that would cause death, serious illness or severe injury to persons or adversely affect the ability of health care institutions to provide medical care during fiscal year 2008‑2009 or 2009‑2010. Will keep you posted of the outcome of this legislation. Janice K. Brewer, former Arizona Secretary of State, was sworn in as governor on January 21, 2009. Former Governor Janet Napolitano stepped down to become director of Homeland Security. Gov. Brewer’s first official act was the release of a memorandum dated January 22, 2009. A copy of the memo is posted on the Secretary of State’s Web site. As the filing and publishing office for administrative rules the Arizona Secretary of State’s Office received many questions the first week after the release of this memo. As the filing office we simply gave agencies the mechanism to withdrawn proposed rulemakings under the memo. Q & As were posted on the Secretary of State’s Web page to help rulewriter’s understand our position. I will keep ACR members posted on the outcome of the review of the rules by the Governor’s Office. The Uniform Law Commission’s drafting committee to revise the Model State Administrative Procedure Act (MSAPA) will meet November 14 through 16, 2008, in Denver, CO. Information that the committee will consider is posted online at http://www.nccusl.org/Update/CommitteeSearchResults.aspx?committee=234. The draft MSAPA is scheduled for its final reading at the Summer ULC meeting scheduled for July 9 through 16, 2009, in Santa Fe, New Mexico. Some changes have recently been made to the Virginia Regulatory Town Hall home page (townhall.virginia.gov) aimed to make the site easier to navigate. * The Menu bar on the left has been shortened to focus on major categories of information. * The Search Tool is more prominently displayed. This feature allows you to search titles of regulations, regulatory actions,meetings, guidance documents, mandates, petitions for rulemaking, and general notices. * Under Browse Regulations on the menu bar, you will see a list of all regulations broken down by board. Using the tabs near the top of the page, you can also search regulations by agency, secretary, and VAC citation. * Under Regulatory Activity on the menu bar, you will see all regulatory actions underway. Using the tabs near the top of the page, you can also view regulatory actions based on a periodic review of the regulation, a petition for rulemaking, or a legislative mandate (where the legislature has required a regulation to be changed). * On the page for viewing and entering public comments, you can now view regulatory documents, e.g., the agency background statement explaining what is changing and why, as well as the text of a proposed regulation, and we encourage you to view these before you enter a public comment. We’re always trying to make the Town Hall more user friendly so if you have any suggestions or comments, we would love to hear from you. Just email melanie.west@dpb.virginia.gov. The NASS website now links to us at our new location. A great big Thank You to Candy Herring, and her co-worker Sean Mueller, Scott Cancelosi, Jeff Hague and Debbie Rizko who have all spent a lot of time and effort on the construction and fine tuning of our new website, and it has turned out beautifully. Please send Candy (candy.herring@sos.state.co.us), Jeff (Jeffrey.Hague@state.de.us), Scott (scancelosi@azsos.gov), or Debbie (debbie.ritzko@dos.state.ny.us) updates or corrections to be posted. Click on the link http://www.covits.org/governor’s_technology_awards/index.cfm and scroll down to see a picture of ACR members Lilli Hausenfluck and Joe Johnson with Virginia Governor Tim Kaine after receiving the 2008 Governor’s Technology Award in the category of “Cross-boundary Collaboration.” Also in the photo (far right) is Melanie West, Director of the Economic and Regulatory Analysis Division of the Department of Planning and Budget, who was also an award recipient. Virginia nominated Virginia’s Regulation Information System and Town Hall for the National Association of State Chief Information Officers’ (NASCIO) 2008 Recognition Awards for Outstanding Achievement in the Field of Information Technology under the category “Cross-Boundary Collaboration and Partnerships.” Although Virginia was not selected as a finalist, the project nomination is posted on the NASCIO website at http://www.nascio.org/awards/2008Awards/collaboration.cfm as part of the state IT Best Practices database in NASCIO’s Recognition Award Archive. Also, a demo of the system is available at http://leg5.state.va.us/risdemo/. Members of Administrative Codes and Registers (ACR), a section of the National Association of Secretaries of State, elected new officers at a business meeting held July 27, 2008. Julie Yamaka (OR) will serve as president; John Martinez (NM) will serve as vice president; and Scott Cancelosi (AZ) will serve as secretary/treasurer/historian. ACR elects its officers to two-year terms. On July 27, 2008, Administrative Codes and Registers (ACR) recognized the work of the Arkansas Secretary of State’s Office and Jon Davidson for their work to make Arkansas rules accessible. Jon Davidson (AR, left) receives Colborn Award from Dennis Stevenson (ID, right). 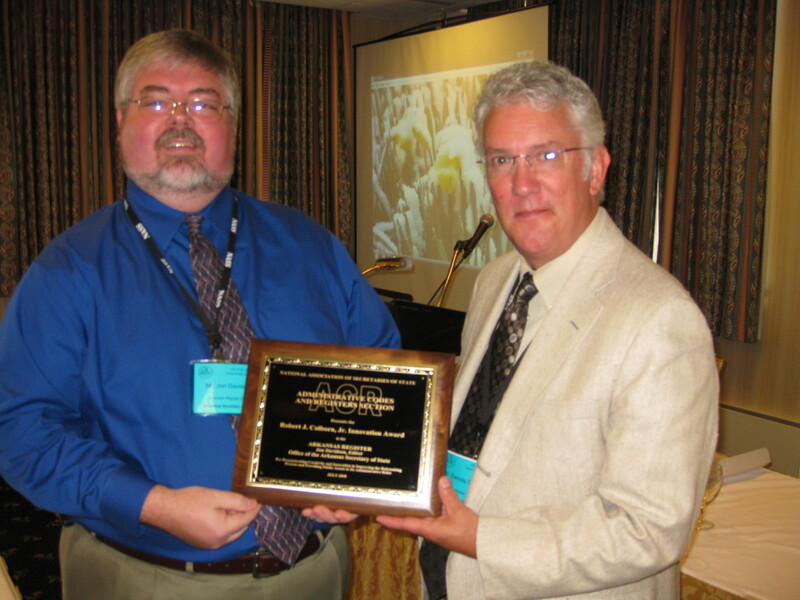 Jon Davidson (AR; left) receives the Colborn award from Dennis Stevenson (ID; Colborn Committee Chair; right). The Arkansas Register is a bit of a Cinderella story and, while technically this system is not as elaborate or complex as many we’ve seen in other states, the fact that Jon was dedicated to elevating the Arkansas Register to its proper place in the hierarchy of Arkansas state government documents reflects not only why ACR created the Robert J. Colborn, Jr. Innovation Award, but goes to the very core of what ACR is and why it exists. What has happened with the Arkansas Register is a great example of a rising ACR ocean lifting all boats. As [the awards] committee, we recognized that for each state that has a state of the art electronic system, there is another state where the Code and Register editors are still in the trenches fighting to make its own government understand the importance of its administrative rules and the difference they make in people’s lives. The Arkansas Register has shown the importance of making a state’s rules and policies available to the public and that open government always makes for better government. More information is available from the AR Secretary of State’s Office, and from ACR’s web site. Administrative Codes and Registers will be meeting with the National Association of Secretaries of State at its annual conference in Grand Rapids, MI, July 25 through July 28, 2008. This conference marks ACR’s 30th anniversary. ACR was formed in 1978 in St. Louis, MO. The ACR conference agenda is available at http://www.nass.org/acr/acr.html. The Congressional Research Service (CRS) has recently issued two reports looking at Federal rulemaking. The CRS does not make its reports available directly to the public. Open CRS — a “project of the Center for Democracy and Technology, … provides citizens access to CRS Reports that are already in the public domain” at http://opencrs.cdt.org/. The following notice is provided by Commissioner Francis J. Pavetti, Chair of the National Conference of Commissioners on Uniform State Laws Model State Administrative Procedure Act Drafting Committee. The National Conference of Commissioners on Uniform State Laws (NCCUSL) is revising its Model State Administrative Procedure Act (MSAPA). NCCUSL invites organizations and individuals interested in state administrative agency processes to participate in this effort. NCCUSL is a 117 year old national organization of lawyers, judges and law professors who are appointed to represent their states in drafting and seeking enactment of uniform laws to facilitate commerce and certainty in the law among the states. For more information about NCCUSL, visit http://www.nccusl.org/. The goal of the MSAPA drafting committee is to make the administrative process more efficient, accessible and fair. The most recent draft of MSAPA is available at http://www.nccusl.org/Update/CommitteeSearchResults.aspx?committee=234. The drafting process will not be completed until the spring of 2009. The MSAPA drafting committee invites interested parties to attend committee meetings as an observer and make comments and suggestions at the meetings or by submitting them in writing. To become an observer, please contact Ms. Leang Sou at NCCUSL at (312) 915-0488 or at leang.sou@nccusl.org . Submit written comments about the MSAPA to Commissioner Francis J. Pavetti, 18 The Strand, Goshen Point, Waterford, CT 06385. UPDATE: The NCCUSL office moved the first week of January. The new phone number is (312) 450-6606. The National Conference of Commissioners on Uniform State Laws (NCCUSL) has posted the latest draft of the Model State Administrative Procedure Act (MSAPA), and related information, on its web site — http://www.nccusl.org/Update/CommitteeSearchResults.aspx?committee=234. The draft is available in several electronic formats, including PDF, Word, ASCII, and HTML. It is also available with redlining to show the most recent changes, or as a clean copy. The MSAPA drafting committee meets November 9 through 11 in Denver, CO.
A new feature on the Secretary of State’s website offers streamlined access to state agency rules and regulations. The changes have further opened the doors of government to the public, allowing a simpler method for following public hearings and tracking changes in public policy as they are proposed and implemented. An expanded search engine makes it simple to explore administrative rules online using search fields that include the name of the agency, rule title or number, keywords, file dates and type of rule. New filings are also available in “real time” as they are added to the database. Previously rules were listed online by filing numbers only, a system that was difficult for members of the general public to navigate. The improvements now allow instant access to the full text of rules that have been filed electronically with the office since 2001. With more than 75,000 hits to the rules section of the website each month, this expanded service is a welcome addition for the rule-filing agencies, law firms, publishing houses and general public who reference these documents. More than a year in development and testing, the features were designed in cooperation with administrative rules and information technology staff members and the Information Network of Arkansas. To access the site, visit www.sos.arkansas.gov and click on “Research State Agency Rules and Regs” under the Elections section. Virginia’s Administrative Law Advisory Committee (ALAC) is back in business. After a 5-year moratorium, the Virginia Code Commission reinstated ALAC to assist the Commission with its oversight authority over the operation and effectiveness of the Virginia Administrative Process Act and Virginia Register Act. ALAC is a 12-member committee consisting of representatives from the business community, local government, the state bar, state agencies, the academic community, the Virginia Supreme Court, public interest associations and other interested parties. ALAC’s first meeting was held September 27 and the inital suggested workplan will be presented to the Virginia Code Commission for its approval at its October meeting. For further information, go to ALAC’s website at http://legis.state.va.us/codecomm/alac/alac.htm. Back in 2003, the American Bar Association’s Section of Administrative Law and Regulatory Practice initiated a project to assess the need for an administrative procedure act that could apply to interstate compacts. The project is nearing completion. Information about the project is available at http://www.abanet.org/adminlaw/interstate/home.html. As a step toward addressing the issue of authentication raised by the AALL report, Utah’s Division of Administrative Rules has added Message-Digest algorithm 5 (MD5) authentication to publication files. An MD5 hash is, in essence, a signature for a file. A user can confirm the integrity of a specific file the user downloads by comparing the MD5 hash provided by the Division with one that the user generates. More information about Utah’s response is posted at http://rulesnews.utah.gov/archives/000667.html. The National Conference of Commissioners on Uniform State Laws (NCCUSL) has scheduled the next Model State Administrative Procedure Act (MSAPA) drafting committee meeting for November 9 through 11, 2007, in Denver, CO.
John Martinez (NM) posted the following information to the ACR ListServ. The European Forum of Official Gazettes was created in 2004 by the organisations responsible for publishing the official gazettes of the European Union Member States and the Office for Official Publications of the European Communities. Since 2005, the Forum also invites legal gazettes of countries outside the European Union to participate in its work. The objectives of the Forum are to exchange ideas and information on publication processes, technology and best practices between the official publishers. The Forum’s 2007 Directory of Legal Gazettes in Europe is available as a PDF document. The Forum’s next meeting is scheduled for September 25-26, 2008, in Madrid, Spain. Administrative Codes and Registers presented the 2007 Colborn Award to the Colorado Secretary of State’s Office for their development and implementation of the online Code of Colorado Regulations. Government Technology has the story. A Conference for Federal Regulatory Professionals August 21 & 22, 2007 Washington, D.C. The Best Practices in Regulatory Development conference will provide a forum for federal regulatory experts to share best practices that could improve the future of regulatory development. The event will facilitate small group discussions, generate ideas, and inspire innovation. Registration is free and open to federal officials who are involved in regulatory development in any capacity. It is open to all agency employees. The registration deadline is August 10, 2007, unless the meeting space capacity is met earlier. The conference will be held at the American Institute of Architects (AIA) conference facility at 1735 New York Ave NW, Washington, D.C. (view map). AIA is close to two Metro stations: Farragut West on the orange and blue lines and Farragut North on the red line. The facility is convenient to many nearby hotels and eateries. Wi-fi is available throughout the conference space. On July 10, 2007, the National Conference of Commissioners on Uniform State Laws (NCCUSL) Model State Administrative Procedure Act (MSAPA) drafting committee released an Issues Statement. The committee prepared the statement for the NCCUSL summer meeting that will be held July 27 through August 3, 2007, in Pasadena, California. § 507. Exhaustion of Administrative Remedies. The Issues Statement is available on the NCCUSL archive web site at the Biddle Law Library at Penn Law. Administrative Codes and Registers’ summer conference is scheduled for July 15-18, 2007, in Portland, Oregon. An agenda for the conference has been posted on the ACR web site. The American Association of Law Libraries (AALL) has issued a 254-page report that surveys and analyzes individual state practices with respect to the “trustworthiness” of state-level primary legal resources on the Web. Rules publications are an important part of the report. The “State-by-State Report on Authentication of Online Legal Resources” may be purchased from AALL at http://www.aall.org/products/pub_authen_report.asp. An electronic copy is available from AALL at http://www.aallnet.org/aallwash/authenreport.html. Updated 2/11/2011: The link to the electronic copy of the report has changed. It is now available at http://www.aallnet.org/aallwash/authenreport.asp. The purpose of this conference is to bring together the small business community, state legislators, and state government agencies to explore and share state tools and methodologies developed to successfully implement state regulatory flexibility laws. A guide consisting of state best practices will be distributed to conference attendees. Information about the conference is available at http://www.sba.gov/advo/rfa_stateconference.html. UPDATE: Participation is by invitation only. Space is limited. For questions, please contact Dawn Crockett at dawn.crockett@sba.gov or (202) 619-2310. First, it requires agencies to get White House approval of many important kinds of guidance for the public, which would allow the White House to create a bureaucratic bottleneck that would slow down agencies’ ability to give the public information it needs. Agencies use guidance to let the public know how they intend to enforce the laws and regulations on the books. Second, the new order stresses the concept of “market failure” in its revised command for agencies to state justifications for new regulations for public health, privacy, safety, civil rights and the environment. Market failure is an economics term describing situations in which private markets, left to themselves, fail to bring about results that the public needs. This order, however, will be enforced by Susan Dudley, the radical extremist that the White House is setting up for a recess appointment to become the administrator of the Office of Information and Regulatory Affairs (OIRA) in the White House Office of Management and Budget. Based on an evaluation of Dudley’s record in a report released last year, Public Citizen has concluded that in her hands, the market failure provision will become a barrier to the protections that the public needs. Other news about the order seems scarce. Searches on major eastern newspaper websites, and the news services on Google and Yahoo yielded only one other article. In that article, NewsInferno.com (http://www.newsinferno.com/archives/1402#more-1402) relied upon information from Public Citizen. Even the Wall Street Journal appeared to be silent about the order. Part of the problem might be accessibility and the method used to amend the order. Executive Order 13422 directs changes at specific paragraphs in the old, previously amended order. After spending a significant amount of time searching online, it became clear that a complete version that integrates the changes is not available–at least not yet. It will be interesting to watch the federal regulatory process and see if the fears expressed actually materialize. NOTE: Executive Order 12866 was also amended by Executive Order 13258, issued February 26, 2002, by President Bush (67 FR 9385, February 28, 2002). On February 13, 2007, the House Committee on the Judiciary, Subcommittee on Commercial and Administrative Law, held an oversight hearing — “Amending Executive Order 12866: Good Governance or Regulatory Usurpation?” Also on February 13, 2007, and April 26, 2007, the House Committee on Science and Technology, Subcommittee on Investigations and Oversight held similar hearings. The National Conference of Commissioners on Uniform State Laws (NCCUSL) has scheduled the next Model State Administrative Procedure Act (MSAPA) drafting committee for November 17 through 19, 2006, in Chicago, IL. NCCUSL has also announced that, for health reasons, Prof. John Gedid has stepped down as reporter for the committee, however, he plans to continue serving as a commissioner on the MSAPA committee. The new reporter is Professor Greg Ogden from the Pepperdine University School of Law. More information about Professor Ogden is available at http://law.pepperdine.edu/academics/faculty/ogden.html. Information about the latest MSAPA draft is available at http://www.law.upenn.edu/bll/ulc/ulc.htm#msapa. Santa Fe, New Mexico — July 10, 2006 — The director of the Administrative Law Division of the New Mexico Commission of Public Records – State Records Center and Archives has been elected to be the next secretary-treasurer of the national Administrative Codes and Registers organization. John H. Martinez commenced a two-year term that will run through July 2008 as an officer of the organization of state and federal administrative regulatory professionals. The election was held on Monday, July 10 at the National Association of Secretaries of State conference held in Santa Fe, New Mexico. Since 2001, Mr. Martinez has been involved in the development and production of the New Mexico Register, the official publication for all notices of rulemaking and filings of adopted, proposed and emergency rules in New Mexico, and in the development and production of New Mexico’s online administrative code of rules. Administrative Codes and Registers (ACR) is a section of the National Association of Secretaries of State. ACR was organized 28 years ago, in St. Louis, Missouri. Its objectives include fostering the development of better rule writing skills and rule review techniques; developing more effective management of the rule promulgation process, particularly in the publication of administrative codes and registers; and increasing public access to and involvement in the rulemaking process. Martinez has been active in ACR since 2001. He served as a regional representative to the ACR executive committee from 2004-2006 and in 2004, he served as program chairperson for the organization’s summer conference in New Orleans, Louisiana. Martinez succeeds Julie Yamaka, manager of the Publications Unit of the Oregon State Archives. Martinez will work with Jane D. Chaffin (VA), president, to direct the national organization’s activities during the next two years, including its annual survey of state rulemaking and its annual conference. More information about ACR is available on the Internet at http://www.nass.org/acr/acr.html. Santa Fe, New Mexico — July 10, 2006 — The manager of the Publications Unit of the Oregon State Archives has been elected to be the next Vice President of the national Administrative Codes and Registers organization. Julie Yamaka commenced a two-year term that will run through July 2008 as an officer of the organization of state and federal administrative regulatory professionals. The election was held on Monday, July 10 at the National Association of Secretaries of State conference held in Santa Fe, New Mexico. Ms. Yamaka has served as manager of the Publications Unit of the Archives Division of the Oregon Secretary of State for nine years. The Publications Unit is charged with filing and publishing the Oregon Administrative Rules and compiling and publishing the Oregon Blue Book. She has worked for the Secretary of State since 1990, serving in several different capacities. Yamaka has been active in ACR since 1998. She served as a regional representative to the ACR executive committee from 2000-2004, secretary-treasurer from 2004-2006, and in 2002, she served as program chairperson for the organization’s summer conference in Providence, Rhode Island. Yamaka succeeds Jane Chaffin, Registrar of Regulations for the Commonwealth of Virginia. Yamaka will work with Chaffin, president, to direct the national organization’s activities during the next two years, including its annual survey of state rulemaking and its annual conference. More information about ACR is available on the Internet at http://www.nass.org/acr/acr.html. Santa Fe, New Mexico — July 10, 2006 — The Registrar of Regulations for the Commonwealth of Virginia has been elected president of the national Administrative Codes and Registers organization. Jane D. Chaffin commenced a two-year term that will run through July 2008 as leader of the organization of state and federal administrative regulatory professionals. The election was held on Monday, July 10 at the National Association of Secretaries of State conference held in Santa Fe, New Mexico. Since 1987, Ms. Chaffin has been involved in the development and production of the Virginia Register of Regulations, a bi-weekly publication that provides notice of proposed, final and emergency regulatory changes of Virginia’s state agencies, and with the codification of the Commonwealth’s regulations in the Virginia Administrative Code. Chaffin has been active in ACR since 1988. She served as a regional representative to the ACR executive committee from 1998-2002, secretary-treasurer from 2002-2004, and vice president from 2004-2006. Chaffin succeeds Dennis Stevenson, Administrative Rules Coordinator for the State of Idaho. Chaffin will direct the national organization’s activities during the next two years, including its annual survey of state rulemaking and its annual conference. More information about ACR is available on the Internet at http://www.nass.org/acr/acr.html. At its winter meeting, Administrative Codes and Registers adopted the following resolution. The Administrative Codes and Registers section of the National Association of Secretaries of State hereby recognizes the 70th anniversary of the Federal Register. On March 14, 2006, the National Archives and Records Administration and the Office of the Federal Register will celebrate the 70th anniversary of the first edition of the Federal Register. The daily Federal Register was created to document the workings of our democracy, ensuring that citizens are well informed about the policies and actions of their government. Accordingly, the Administrative Codes and Register section commends the Office of the Federal Register for seventy years of service to the people of the United States. The scope and complexity of governmental activity has grown enormously since the Federal Register began publishing in 1936. Now more than ever, we rely on the Federal Register for the accuracy and integrity of official information, for ensuring transparency and accountability of government, and for maintaining our system of checks and balances in administrative rulemaking and constitutional democracy. For seventy years the Federal Register has been published every business day, without fail, providing indispensable information about the actions of the President, the full and exact text of the proposed and final regulations of Federal agencies, and many other documents that enable the American people to participate in the making of law and policy. Whereas, the Office of the Federal Register is a charter member of the Administrative Codes and Registers section, the ACR wishes to congratulate the past and present staff of the Federal Register for their dedication and professional skill in this 70th year of publication. Best wishes to Raymond Mosley, Director, and the staff at the Office of the Federal Register. Yesterday, Cary Coglianese, Chair of Harvard’s Regulatory Policy Program, posted the following letter on the e-rulemaking listserv (see http://www.erulemaking.org/) from the co-chairs of the federal government’s eRulemaking Executive Committee. Recently-signed provisions of the FY06 Treasury/Transportation/HUD appropriations bill contain restrictions on government-wide funding of E-Government (E-Gov) Initiatives. This significant legislation requires agencies to inform and secure Congressional approval to fund E-Gov initiatives including eRulemaking. The Office of Management and Budget and the eRulemaking Program Management Office (PMO) are aware of this and other Congressional appropriations restrictions and are working to resolve them. At the current rate of expenditures, the eRulemaking PMO available funding will expire in mid-February 2006. In response, as Co-Chairs of the eRulemaking Executive Committee and in conjunction and concurrence with the OMB E-Gov Administrator, we have decided to allocate remaining funds to operate and maintain the current Federal Docket Management System, Regulations.gov. This will ensure continued operations and service for federal agencies that have already implemented and use FDMS/Regulations.gov as well as millions of public users of the system. In addition, in light of the funding shortfall, eRulemaking will suspend all further agency implementation and development activities, effective beginning second quarter FY2006. As funding is approved and received, the PMO will resume agency implementation and system development activities to the extent that resources allow. The eRulemaking PMO will keep the eRulemaking Initiative partner agencies apprised of any future developments as information becomes available. We recognize that this action will impact E-Gov implementation plans for several agencies. We will continue to work with those agencies affected by this decision and renegotiated new migration and implementation dates. We regret that this decision had to be made but are doing so in consideration of the importance of maintaining functionality for all of our participating agencies and the user community. If you have any concerns or wish to discuss further please contact us at 202-564-6665 (Kimberly T. Nelson) and 202-395-5897 (Don Arbuckle). We look forward to our continued collaboration on this important government-wide initiative. Dr. Coglianese then followed this letter with some contextual information. The ensuing exchange of E-mails has explored the reasons behind the Congressional funding restrictions. This exchange is helpful for those of us looking at rulemaking automation projects at the state level. If you are not a member of the e-rulemaking listserv, and this issue interests you, you should sign up. To sign up, visit the e-rulemaking web site and follow the ListServ link. UPDATE: See related article at OMB Watch. Some time ago (like February 2005), Dennis Schnepfe informed ACR about Maryland’s HB 1327, entitled “Code of Maryland Regulations, Maryland Register, and Contract Weekly – Incorporation by Reference of Laws and Documents”. This bill changes the incorporation by reference provisions for regulations in Maryland. H.B. 1327 was signed on April 12, 2005. While an enrolled text is not available, the first and third reading texts are available and the “Documents” description indicates that no amendments were made. Information about this bill is available at http://mlis.state.md.us/2005rs/billfile/HB1327.htm. Cary Coglianese posted the following information to Harvard’s E-Rulemaking ListServ. Electronic Rulemaking: Progress Made in Developing Centralized E-Rulemaking System. Several states are using RSS to distribute information about state administrative rules. These states include: Delaware, Rhode Island, Tennessee, and Utah. Delaware posts “The Current Monthly Register ” in RSS. More information about Delaware feeds is available from http://www.state.de.us/gic/subscribe/services/rssnews.shtml. Rhode Island has developed a feed called “Recently Promulgated Regulations “. The Rhode Island eGovernment Exchange (REX) provides more information about available feeds at http://www.ri.gov/rex/feeds.php. Tennessee makes “Recently Promulgated Rules and Regulations ” available. More information about Tennessee’s use of RSS is available at http://www.tennesseeanytime.org/rss/index.html. If you are aware of other states that distribute administrative rules information using RSS, please post a comment. UPDATE 8/31: The Virginia Code Commission makes the Virginia Register available by RSS. More information about the Virginia Register is available at http://legis.state.va.us/codecomm/register/issfiles.htm. This committee is revising the  Model State Administrative Procedures Act, which provided procedures for promulgating administrative regulations and for adjudicating disputes before administrative bodies. A revision is necessary to update the act to recognize electronic communications and other state procedural innovations since the act was originally promulgated. Upon completion of its main charge, the committee will study the development of an administrative procedures act for use by interstate compact entities. 1. Should the Model State Administrative Procedure Act require interpretive and policy statements to be adopted as rules; and, if not, should there be a requirement that they be published? 2. If interpretive and policy statements are not rules, but are required to be published, should the Model State Administrative Procedure Act address the weight to be given to them on judicial review? 3. Should the Model State Administrative Procedure Act require prior agency decisions of first impression on legal issues to be adopted as rules; or, if not required to be adopted as rules, should there be a requirement that such decisions be indexed and published? 4. Should evidentiary hearings be required only when mandated by statute, constitution or other law, or should the Conference adopt the broader approach of the 1981 Model State Administrative Procedure Act that requires an evidentiary hearing in almost all instances where an order is to be issued by the agency? 5. With respect to post hearing ex parte communications between the agency decision maker and agency staff, what, if any, disclosure of the ex parte communication should be required to the parties? Also, what, if any, opportunity should be allowed for a party to respond to the disclosed communication? 6. Should cost-benefit analysis be required for all rules; or be limited to certain situations; and, if limited, under what criteria? 7. Should the Act provide for an administrative rules editor, with the power to edit, for the publication, compilation, indexing, and public inspection of rules or should the Act provide for a publisher with limited power to edit? 8. Should the Act contain a legislative veto power for agency rules? 9. Should the Act provide that, before a person who was not a party in an agency rulemaking proceeding seeks judicial review of a rule produced in that proceeding, that person must first petition the agency for rulemaking on the subject for which she seeks judicial review? ACR members may contact Ken Hansen (801-538-3777) with input on these issues. Professor John Gedid will be giving the keynote address that will open Virginia’s annual Administrative Law Conference scheduled for Tuesday, November 1, 2005, at the Downtown Richmond Omni. Professor Gedid has been asked to talk about the work of the NCCUSL drafting committee presently working on changes to the Model Administrative Procedures Act. You may recall that Professor Gedid was part of a regulatory rules review panel presentation at the 2002 Providence, RI, summer conference, and later talked to ACR about the model APA drafting committee at the 2004 New Orleans summer conference. The ACR conferences are great. Lots of information and lots of issues to discuss. So far, two issues stand out for me. The first is referred to as versioning–specifically, providing historical versions of administrative codes. Colorado demonstrated their new rulemaking system which includes the capability to present a rule as it is in effect today, or any other day. Second, continuity planning is critically important. With the retirements that states will see from the ranks of ACR in the coming five to ten years, the states (we) need to have plans in place to train replacements. Most of the states have very small shops that make continuity planning essential. Renting Movies More Important than Regulation? Jim Willis, the Director of eGovernment for the Office of Secretary of State Matthew Brown (RI) and Technical Chair for the Government Open Code Collaborative, spoke at the ACR conference today. He gave a great presentation on the possibilities of RSS in the publication of government information. The following quote comes from Jim via the GOCC weblog. It is simply unacceptable at this point in history that a citizen can use web services to track the movies he is renting, the weather around his house, and the books he’s recently purchased but cannot as easily monitor data regarding the quality of his drinking water, legislation or regulations that will directly impact his work or personal life, what contracts are currently available to bid on for his state, or what crimes have recently occurred on his street. The National Association of Secretaries of State (NASS) / Administrative Codes and Registers (ACR) annual summer conference will be held July 22 through July 25, 2005, at the Radisson Riverfront Hotel in St. Paul, MN. As it becomes available, information about the conference will be posted on the NASS conference page. Information about the ACR program will be posted on the ACR home page. Rulemaking is "Blawg of the Day"
In his Saturday, April 30 posting, Tom Mighell, author of “Inter Alia: An Internet Legal Research Weblog, Among Other Things“, recognized “Rulemaking” as his “Blawg of the day”. Thanks Tom. Blawg, variant spelling of Blog, is intended to recognize a blog with legal content. Comments Off on Rulemaking is "Blawg of the Day"
The National Conference of Commissioners for Uniform State Laws (NCCUSL) Model State Administrative Procedure Act (MSAPA) drafting committee met April 15 through April 17 in Philadelphia. The committee considered a second draft, primarily reviewing and making major changes to the core adjudication and judicial review articles. The committee discussed the rulemaking article at its meeting last fall. Therefore, this second draft contains changes that represent the committee’s most current thinking about rulemaking. If ACR members have comments about the rulemaking provisions in the second draft, please contact Ken Hansen (801-538-3777). At the April meeting, some additional rulemaking issues surfaced as the committee discussed judicial review. The committee discussed the implications of “aggrieved or adversely affected” as it appeared in the draft without the qualifying language from the 1981 MSAPA. In the Exhaustion of Administrative Remedies section (C5-107), Prof. Michael Asimow raised the concept of “issue exhaustion” in rulemaking. If an individual encounters an issue with a rule that was not considered by the agency during the rulemaking process, either directly by the agency or indirectly as the result of public comment, the individual should be required to raise the issue with the agency (by filing a petition for rulemaking — see section C3-115) before the individual may take the issue (and the agency) to court. The committee had two questions that ACR could help address. During the discussion of Section C5-108, Closed Record; Exception (changed to Agency Record; Exception), a question arose regarding how many states currently require an agency to maintain a rulemaking record. The committee is considering creating a new section, separate from C5-109, Scope of Review, for rulemaking. A question also came up about how many states have adopted the federal “hard look” doctrine (a la Citizens to Preserve Overton Park, Inc. v. Volpe, 401 U.S. 402 (1971)) stated on page 75 in paragraphs D and E.
The committee will present an executive summary of the issues at the NCCUSL annual summer meeting in Pittsburgh, Pennsylvania, July 22-29, 2005. The MSAPA drafting committee will meet again this fall to review the entire draft. Governor Ted Kulongoski has signed into law five measures approved by the Oregon Legislature to make it easier and less expensive for business owners to understand and meet state regulations. They are the first measures enacted out of a package of regulatory streamlining bills introduced at the direction of the governor. The order creates the Office of Regulatory Streamlining in the Department of Consumer and Business Services. They have an interesting web site with resources for agencies attempting to comply with the order. At the ACR Winter Meeting, we discussed Blogs/RSS and tried to give some ideas about possible applications for rules. However, we didn’t have much time to provide background. Inter Alia blogs about an RSS tutorial created by Alex Barnett. The tutorial with Mr. Barnett’s audio narrative, uses Flash to demonstrate downloading, installing, and setting up a news (RSS) aggregator (FeedDemon). Mr. Barnett even demonstrates some of the differences in ways that various feeds work. He also discusses why he uses RSS feeds. FeedDemon is available for a free trial; after that, a small charge. Other aggregators are available. We demonstrated two a the Winter Meeting: SharpReader and MyYahoo! MyYahoo! is an online aggregator for which you sign up and then may use free of charge. SharpReader is available as a downloadable client software. It is free of charge, works with Windows XP, but requires that you have installed .Net 1.1 . The SharpReader site explains that. Rory Perry has blogged about LegalXHTML. Makes me wonder how the discussion held in Washington D.C. on February 8 on an XML spec for rules went. The National Conference of Commissioners for Uniform State Laws (NCCUSL) has scheduled its next drafting committee meeting for the Model State Administrative Procedures Act (MSAPA) for April 15 through 17, 2005. The meeting will be held in Philadelphia again. The Administrative Law and Regulatory Practice Section of the American Bar Association has announced its program for the Bar’s mid-winter meeting. This year, the ABA‘s mid-winter meeting is being held in Salt Lake City, Utah. The Section has scheduled sessions for February 10 through 13, 2005. A PDF version of the program is available for download at http://www.abanet.org/adminlaw/ . The cost for the meeting varies depending on the number of sessions you plan to attend. Cost information is included in the program. ACR‘s own Kent Bishop has been involved with organizing the program. NASS has information about the conference available on its web site. An agenda for the ACR sessions will be available soon. Dr. Stuart Shulman, assistant professor at the University of Pittsburgh, announced this morning over the E-Rulemaking ListServ that he has created an E-rulemaking blog — http://erulemaking.blogspot.com/. Earlier this week, a message was posted to the ACR ListServ with information that originally came from the E-rulemaking ListServ (Thanks Kevin). The post is an important one that has implications for all of us. Realizing that some ACR members might not be aware of some of these resources, I thought I’d pass along some links. Harvard’s John F. Kennedy School of Government, Regulatory Policy Program (http://www.ksg.harvard.edu/cbg/rpp/home.htm) maintains the “E-Rulemaking Resource Website” (http://www.ksg.harvard.edu/cbg/rpp/erulemaking/). The site includes news papers and reports, events, government documents, and links. One of the links points to Harvard’s E-rulemaking ListServ (http://lists.hmdc.harvard.edu/?info=e-rulemaking-l). The University of Pittsburgh also has an “eRulemaking Website” (http://erulemaking.ucsur.pitt.edu/). The White House also has E-Rulemaking (http://www.whitehouse.gov/omb/egov/gtob/rulemaking.htm) information on eGov (http://www.whitehouse.gov/omb/egov/index.html). Update: On 05/16/2011, it was discovered that all of the links in this post had been discontinued and the addresses will return 404 errors or redirect the user to an unrelated page. Try http://www.erulemaking.org/ for related information. NCSL is hosting its first legislative editing and proofreading conference on October 8-9 in Madison, WI. Although this conference is designed for staff who primarily edit or proofread legislation, I sent June to attend. In Virginia, the type of editing we do to and the things we look for in regulations are quite similar to those things that our legislative editors look for when editing and proofreading bill drafts. States differ dramatically in the types of editing that can be performed on regulations–some states are practically given a free hand while others aren’t even allowed to fix a typo. I thought it would be beneficial to check out the conference and will report back later. RSS in Government (RSS) reports that Delaware has been busy creating RSS feeds. The Current Monthly Register is the newsfeed equivalent of The Delaware Register of Regulations, a monthly publication of all proposed regulatory changes, general notices, and final regulations from our partners in the Legislature. Looks like we have a conference session for D.C. Kudos, Jeff! I wondered how Congress was blocking the rules. You are right, Ken, the news reports did not explain how Congress was approaching it. Thanks for the information. I find that frequently the media does not understand how rule creation works. We have had problems here lately, where reporters gave out wrong information on the rulemaking process. In some intances it is clear they do not know what rules are or how they come about. Has anyone else experienced that? The Paper Chase reports that the U.S. House of Representatives has voted to “block overtime rules.” I looked at this with interest because it sounded as though Congress might be using the Congressional Review Act again. However, the article is not clear about the method the House is using. The AP article makes it sound like this is an appropriations bill, not a resolution. See the Paper Chase article and the Washington Post article (free registration required to view articles) for more information. Other sources have indicated that this action is an amendment to the Labor, Health and Human Services , and Educations Appropriations Bill (H.R. 5006 — specifically, see House amendment 734 entitled, “An amendment to prohibit the use of funds to enforce a Labor Department final rule which went into effect on August 23, 2004 regarding overtime protection….) . As one savy observer noted, a rider attached to an appropriations bill is much more difficult to defeat than a single-issue CRA resolultion of disapproval. The National Conference of Commissioners on Uniform State Laws (NCCUSL) Committee to Revise Model State Admin. Procedures Act has scheduled its next meeting for Nov 12-14, 2004, in Philadelphia, PA. This is the meeting about which Professor Gedid informed ACR at the New Orleans Conference. For meeting information, contact the Chicago NCCUSL office at 312-915-0195. The American Bar Association’s Section of Administrative Law and Regulatory Practice has scheduled its midyear meeting in Salt Lake City, Utah on February 9-15, 2005. At the meeting, one of the items to be discussed will be rulemaking and interstate compacts. As the time for the conference approaches, more details will be available at http://www.abanet.org/adminlaw/home.html. Update: According to Kent Bishop, our Interstate Compact Rules Guru, the sessions will most likely be scheduled on February 10-12. More details will follow. FYI: The dates for the 2005 Winter Meeting are February 4 through 7, 2005. The conference will be held at the Hyatt Regency. 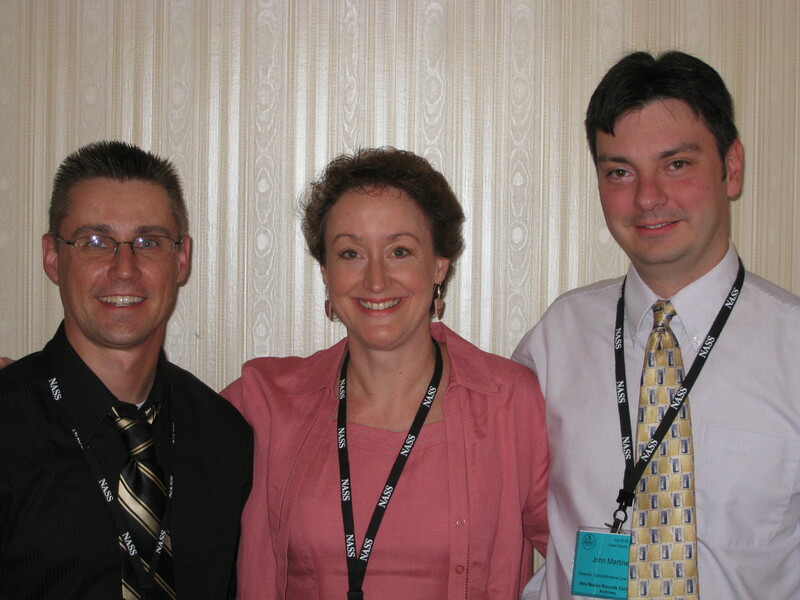 More pictures have been added to the 2004 Summer Conference web site (thanks Ken). The minutes of both business meetings are available from the ACR web page and the conference site. The web site for the 2004 Summer Conference is now online. You can access it through the ACR web page at www.nass.or/acr/acr.html or directly at www.nmcpr.state.nm.us/acr. The web site contains copies of the presentations, pictures, and other material related to the conference. If you would like to share your conference pictures, send them to me and I will post them online. Update: The ACR address is www.nass.org/acr/acr.html. Welcome to rulemaking.blogspot.com! At the recent ACR conference in New Orleans, several of us discussed blogs and rss feeds. One of the ideas that came out of the meeting is that ACR should create a blog to allow us to share ideas among members of the organization. Hence, rulemaking.blogspot.com. This blog may be syndicated by subscribing to http://rulemaking.blogspot.com/atom.xml. Update: The ACR blog has moved from blogspot.com to wordpress.com. Rulemaking · "Rulemaking" is a blog about government regulatory processes in the United States — specifically, those parts of the process that give the public an opportunity to participate.